With over 250 million people suffering from this disease worldwide, autoimmunity is becoming a prevalent and concerning health problem. Autoimmunity is when the immune system becomes uncoordinated and begins attacking itself. I have worked with many autoimmunity cases and have found that certain nutrient deficiencies are almost always at play. In this article, I discuss why I think these deficiencies are the 5 key nutrients to heal autoimmune disease. My desire to help those with autoimmunity comes from a history of personal health challenges that were rooted in my digestive health. After overcoming these health challenges, being on the other side, I realize just how debilitating conditions like autoimmunity can be. I find many similarities between the presence of these conditions including lack of key nutrients in the diet. I believe these 5 to be critical to address in the case of autoimmunity. Vitamin D is arguably one of the most powerful nutrients responsible for modulating and coordinating the immune system. In autoimmune disease, the immune system has a hard time differentiating self from non-self (foreign invaders). Vitamin D helps the immune system make this important distinction, which reduces autoimmune disease formation (1). Sunlight is by far and away the most important factor in optimizing your vitamin D levels. Not only does skin exposure to sunlight help produce vitamin D in its sulfated form, which may have unique benefits to the body in addition to supplemental vitamin D. For tips on healthy sun exposure, read this article. Our ancestors frequently ate organ meats in their diets, such as liver, that were dense sources of vitamin D. Other great sources of dietary Vitamin D are wild fish like sockeye salmon and sardines. To get Vitamin D levels into the therapeutic range of 50-100 nmol/L, I typically will recommend additional supplementation along with Vitamin K2. For this I will use D3/K2 Power which contains 5,000 IU along with 90 mcg of vitamin K2 and I get great results with this. I will also sometimes use D3/K2 drops for more targeted dosing because it contains 1000IU vitamin D3 per serving. I recommend up to 2000IU for every 25 lbs. of bodyweight in cases of autoimmunity. Zinc is another critical nutrient for healthy immune system function. Proper zinc levels help support the thymus gland and the formation of T helper cells, which are vital for coordination of the immune system (2). Studies have shown that chronically low zinc levels can result in atrophy of the thymus gland which leads to poor T helper cell maturation and an imbalance in the Th1 and Th2 branches of the immune system. It is this immune imbalance that contributes to chronic inflammation and autoimmune disease. The RDA for adult zinc intake is around 12mg per day, but I typically see the best results with an intake of 30-60mg. The top dietary source of zinc is by far oysters with about 29.75 mg per 3.5 ounce serving. The next best would be sprouted pumpkin seeds which have about 7.81 mg of zinc per 3.5 ounce serving. Finally, liver and pasture-raised lamb and beef are other great sources of dietary zinc. While there are some great food sources of zinc, I usually recommend supplementing with about 20-40mg zinc glycinate per day in cases of autoimmune disease. I like zinc glycinate specifically because it is very absorbable while the glycine molecule provides additional anti-inflammatory benefits. You can find my favorite form here. I recommend supplementing with 20mg once or twice daily with meals to ensure proper absorption. Glutathione is the most powerful antioxidant in the human body. It acts as an antioxidant on its own while also regulating other antioxidants in the body. In addition to antioxidant benefits, glutathione supports healthy detoxification. These actions will help lower inflammation drastically, which is a major factor in autoimmune conditions. Glutathione has also been identified as playing a major role in white blood cell function and immune system regulation. For these reasons, glutathione has been identified a key nutrient in the battle against autoimmune disease (3). Glutathione support should be a part of every autoimmune support protocol. Boosting glutathione to optimal levels comes down to three things: diet, lifestyle, and supplementation. My top foods for boosting glutathione are non-denatured grass-fed whey protein, organ meats, sprouts, sulfurous foods (garlic, onions, cruciferous veggies), as well as herbs like turmeric, ginger, and milk thistle. These foods provide the building blocks for glutathione production in the body. Next, there are several lifestyle factors that affect glutathione production. These include things like getting good sleep, adequate exercise, healthy sun exposure, and avoiding environmental toxins. 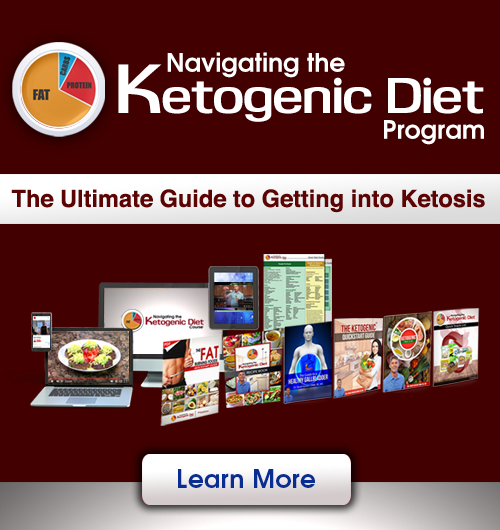 In terms of supplementation, there are things like selenium, N-acetyl Cysteine (NAC), and Alpha Lipoic Acid (ALA) which have all been shown to boost glutathione production in the body. I make my own supplement containing these powerful glutathione-boosting nutrients called Brain Supercharge. In many tough cases however, it is possible that the body has an inhibited ability to make its own glutathione. In these cases, I will use an acetylated glutathione supplement. Pure glutathione is destroyed by digestion while the acetylated form does a much better job at passing through the digestive tract and exerting its beneficial effects. Omega 3 fatty acids play a very important role in reducing autoimmune disease. I find that in most cases of autoimmune disease, there is a significant imbalance of fatty acids in the body. In the standard American diet, there is a high consumption of omega 6 fats from processed oils while omega 3 fatty acids are virtually absent. While all omega 6 fatty acids are not necessarily bad from the right sources, it’s important to increase omega 3 consumption to create a balanced ratio in the body. Another really important dietary aspect to focus on is getting healthy fats in general. 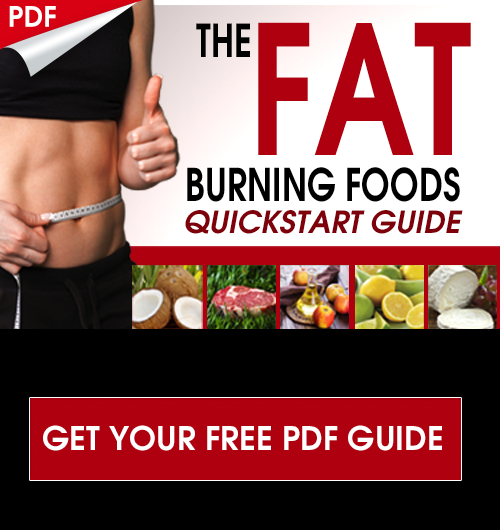 The Standard American Diet is full of problematic fat sources that are highly inflammatory. The following graphic is a good summary of which fats are best to include in your diet. When it comes to boosting your omega 3 levels there are really 2 ways to do this, through omega 3-rich foods and with a high-quality supplement. I really like to emphasize focusing on DHA and EPA omega 3’s because they have the most profound impact on the healing from autoimmunity. My top food sources for these fatty acids are wild Alaskan sockeye salmon, sardines, and anchovies. These are my top choices because the high omega 3 content without many of the heavy metal concerns of other fish. For supplementation of omega 3, I recommend a purified fish oil from smaller fish such as sardines and anchovies. My favorite fish oil brand is Nordic Naturals because they purify their oil and third party test to ensure the absence of mercury. 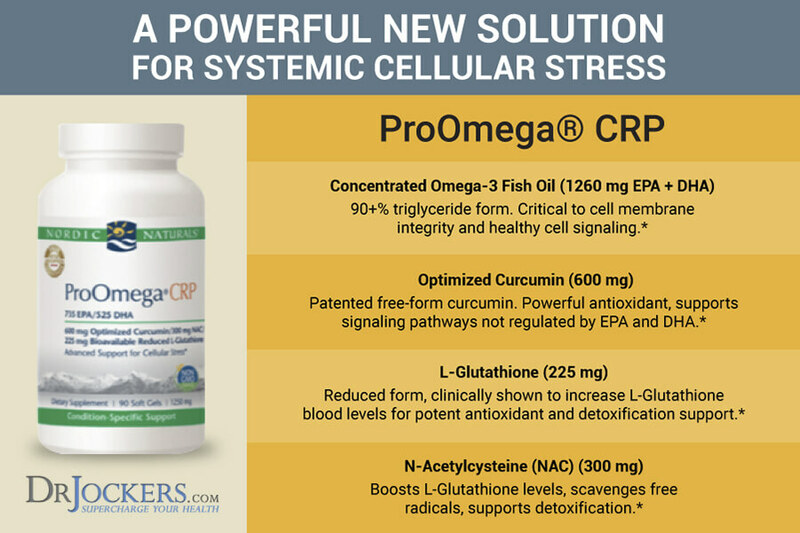 In more advanced cases, such as with autoimmunity, I have found this Pro Omega CRP fish oil extremely helpful. It contains curcumin extract, NAC, and glutathione to provide additional anti-inflammatory benefits. Another huge common denominator I find with my autoimmune patients is that they almost always have some kind of bacterial imbalance in the gut. Having a healthy bacterial balance is key to having a healthy digestive tract and proper immune function. Dysbiosis is also heavily associated with inflammation that can directly promote autoimmunity. The microbiome connection to autoimmunity is even being investigated for clinical treatment of autoimmunity (5). Unfortunately, modern day we have many things that really destroy the good bacteria in our gut. These are things like municipal tap water, pesticides in crops, artificial sweeteners, antibiotics, processed foods, alcohol, and the list goes on. So the first priority is to really work on getting this microbiome destroying toxins out of our lives, then to repopulate the gut with healthy bacteria. Probiotics can be delicate in autoimmune cases because I find that many of my patients can be pretty reactive to many foods. 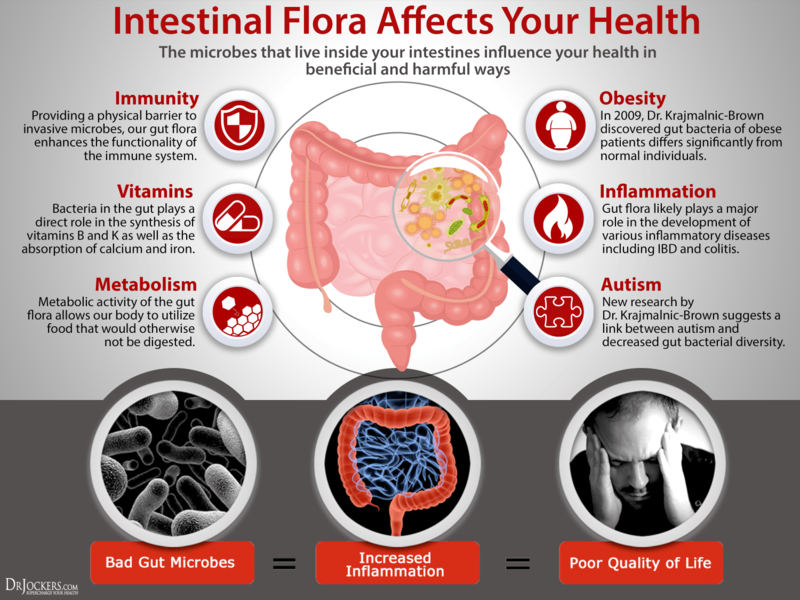 This is why I recommend starting with a supplemental probiotic over fermented foods. For these cases I really like to start with a broad-spectrum probiotic like SBO Probiotics beause it works really well for setting a solid foundation of microbiota in the gut. This probiotic can be used for 1-3 months before cycling to a another lactic-acid based probiotic like my ProbioCharge. I see best results when cycling probiotics every 1-3 months as it helps maintain a diverse microbiome full of many different strains of good bacteria. Thanks for sharing your knowledge. Words can not express how much I am enjoying your site. Could you please explain to me what are Lichen Planopilaris, Lichen Planus and Lichen Sclerosius?? How do you treat them especially on the scalp? It’s interesting that the best results come from taking 30-60mg per day. Ensuring that you have a balanced diet could help prevent many diseases so it makes sense that this could be beneficial. I wonder if there are more tips for autoimmune living that I could find to help my family live healthier lives. Yes Kylie, the diet is very important! I have many articles on autoimmunity as well as an autoimmune diet program. Hi Doc, there seems to be some fairly new research evolving about the possibility that taking supplemental vitamin D may be blocking the D receptors. Have you heard about this and have any comments? I haven’t come across this Sono! I do know it is important to still get adequate sunlight even if you are supplementing because it helps convert Vitamin D to its activated form. Does this also apply to systemic scleroderma? Thank you for this article. Shouldn’t be a problem Linda! Dr. My daughter is 20 years young. She was diagnosed with autoimmune hepatitis. It breaks my heart to pump her with all this medication that the doctors are prescribing. Not to mention she does not feel well at all. 10 mg prednisone and 100 mg of azithiopine. Any professional direction from you would be greatly appreciated. Hi, 3 years ago i got inflammation so bad it was hard to walk a few minutes after i got up or even get on the floor to play with my grand babies. The dr. I seen said ckme off my meats. I did all but Salmon and chicken. With in 3 weeks i was doing better. A short time after that i had to take an antibiotic . Twk rounds of 500 mg. Caused me to have colitis. Went on as clear liquid dite 3 day and got back in check. A few mos. After that i delived IBS. more test on top if test. On diet that has helped get it under control after 9 mos. About 3 months in feeling better i developed eczema. Which ive been to different drs. For that and still no help other than take alot of meds just to get relief but doesn’t never go completely away. I feel their really isn’t help out there to help us unless they want $10.000 or more to help get you were you need to be. Looking forward to your redponse. I have Transverse Myelitis and have so for 5 years. The TM attacked my spinal cord and now I’m numb from my lower hips to my toes. Would taking these 5 supplements, mentioned in your article, heal my condition and restore the feeling back in my hips, legs, and feet? Whats best on empty stomach for malnurishment besides emergency room? Things like Bone broth or a high quality greens powder would be great Cindy! I have Type 1 diabetes ( diagnosed 43 years ago), hypothyroidism, vitaligo, and have now started having significant pain in my fingers of my right hand. To say I have autoimmunity is probably an understatement. My 28 year old daughter was recently diagnosed with Hashimoto’s disease. Any help you can give would be greatly appreciated. Any recommendations for POTS; supplements, specialists, etc.? Tks. Husband has acquired colitis as an autoimmune reaction to Keytruda. Any suggestions to get his system normalized? Dear Dr. Jockers; My problems are exceedingly difficult to treat. There are more than 350 physicians, most specialists, in my town and I can find no help. I am sensitive or immune to most foods; consuming abilities of around 20 various kinds. The only vegetable that I can eat is celery. I have the same food every day during my breakfast, lunch, and dinner, at this point, although my taste buds are in fine shape, I taste very little just try to stay alive. My BMs are surprisingly normal, but mostly constant intestinal discomfort and pain and brain-fog. In the past I have suffered, to my belief and I have a good medical background, intestinal hyper-porosity. I can not find any such malady, as I have, in my research and think that it must be some form of auto-immune problem. I am using plenty of supplements, which I believe must be helping my daily life. I have been for years eating only healthy foods, lots of organic. How I would love a normal good meal! If you should have any clues to help me on my way I would be most appreciative! I’m suffering from hay fever and lichen planopilaris. Do you think that medicinal mushrooms, such as Turkey tail or reishi, could help with my condition? From what I read they are immuno-modulators (btw I have TH2 dominance). Can I supplement also MSM or it is not suited for my condition? What supplement’s would you recommend for lichen plantus on my bottom lip and inside my mouth? Sorry to hear that! I would recommend the supplements discussed in this article Sandy! That is a great place to begin! Dear Dr Jockers, can you recommend how I can reduce proteinuria . Hi I have Ra since 18 months ago. My meds does not help my inflammation but I feel with more energy than before since I change my diet to plant based food. Dr wants me to put me in biological drug to help me to keep my inflammation down in my wrist and avoid problems with my heart. I take fermented turmeric in powder since 4 weeks but still swollen. I eat chicken or fish once a week and 2 twice a week I drink black coffe. Why do you think still inflammation in my wrist do you have any sugestiones or advice in suplentes to take? ?